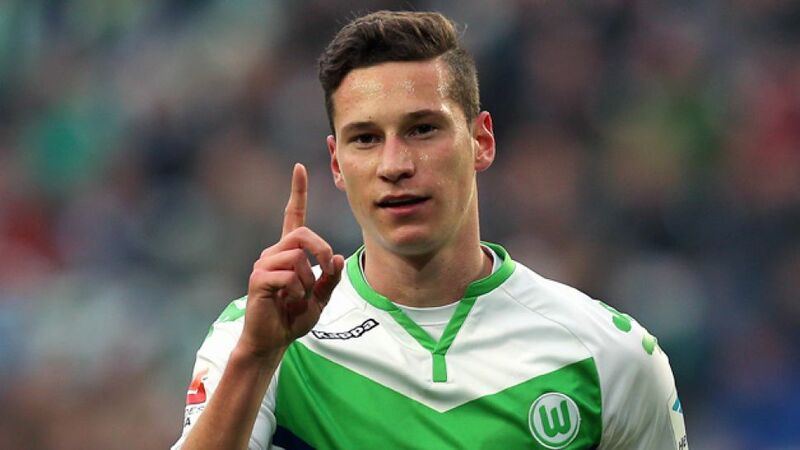 One of the finest products to emerge from FC Schalke 04's youth academy in recent years, Julian Draxler will face his former club's arch-rivals Borussia Dortmund this weekend for the first time in the colours of his new team, VfL Wolfsburg. The attacking midfielder, who made 119 Bundesliga appearances for Schalke between 2011 and August 2015, when he left for the Wolves, is a child of the Ruhrpott and as such, games against Dortmund retain a particular significance. "It'll always be a special game for me," he told Germany's leading football magazine, kicker. "That much is obvious." Draxler, however, possesses a disappointing record against Die Schwarz-Gelben since the start of his career, with only one win in six games (two draws, three defeats). Check out our infographic on Wolfsburg's Matchday 15 clash with Dortmund. "Fortunately, I'm fit again, and it's also a special game this weekend because of the clubs' positions in the table," Draxler, who returned to training this week after suspension and then injury. Second-placed Dortmund sit seven points clear of Wolfsburg in third place ahead of visiting the Volkswagen Arena, where the Wolves are unbeaten in the last 29 games. "With a win we'll move even closer [to Dortmund] and so the game is really important for us," said Draxler. "I don't know if I'll feature from the start yet, but I think it's been obvious in training that I'm fit again and raring to go. The coach will make any other decisions."